List Rules Vote up the scenes that would have most dramatically changed movies if they made the final cut. Minor spoilers ahead, but honestly, if you haven't seen these classic movies by now, what have you even been doing?! For better or worse, some movie scenes don't make the final cut or get cut from the script before production. It can be because test audiences don't like a particular ending, running-time issues, censorship concerns, or the fear that a scene could alter the desired tone of a film. Sometimes filmmakers get it right by deleting a scene or changing an ending; and sometimes, they get it wrong. Thankfully, we live in an age of DVD extras, extended versions, directors' cuts, and the internet. Now, if available, audiences get an opportunity to check out these deleted scenes, many of which, if left in, would have had a major influence on the final film. Check out this list of deleted scenes that had an impact on the final cuts of some of the best Hollywood films. Let us know what you think about these alternate endings and cut scenes. Should Tony Scott have stuck with Quentin Tarantino’s tragic ending in True Romance? Should they have left Rambo’s shocking decision in First Blood? Perhaps taking out poor Dante at the end of Clerks would have made the film even more memorable. 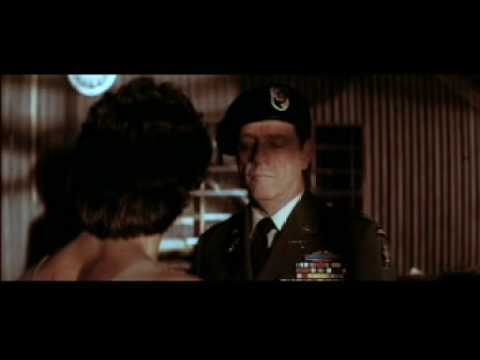 Imagine if First Blood had stuck with its original ending, which was taken directly from the source material of the book. If it had, there would be no Rambo: First Blood Part II, Rambo III, or Rambo. Why? Well, in the book of the same name, written by David Morrell, John Rambo defeats the bad guy and then takes his own life. Would this totally change the movie? Sometimes, even when producers spend a staggering amount of money on a scene, it still needs to be cut. This is exactly what happened for the ending of the comedy musical's original 23-minute finale. The $5 million third act featured Audrey Jr. chomping down on her owner and wreaking plant havoc on the world. 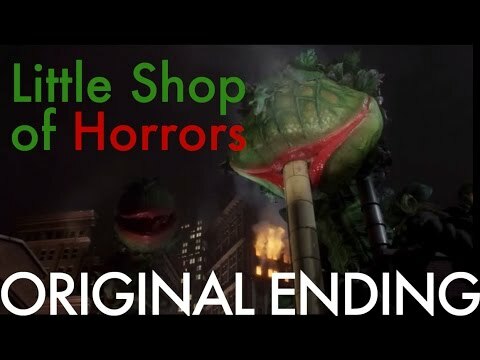 That conclusion was replaced with the happy ending of Seymour exterminating the plant and living happily ever after. Lester Burnham states he has passed via voice-over at the beginning of American Beauty, but we don't know the secretly-gay, tough-guy neighbor is the one who takes him out until the end of the movie. However, in the original script, which is much longer, Lester's daughter, Jane ,and her boyfriend Ricky are tried and convicted of the crime. Their conviction is based on the evidence brought by Colonel Fitts in a frame job, after he found the videotape of Ricky and Jane talking about taking down Lester and took it to the authorities. Imagine everyone's favorite film "professional," Vivian (Julia Roberts), in the film that launched America's Sweetheart's career, with a serious substance dependency. This would have made for a much different feature than the love story that played out instead. The original screenplay was titled $3,000 and featured Edward (Richard Gere) following Vivian around to make sure that she didn't use.